We started using LESS on with the redesign of this website. 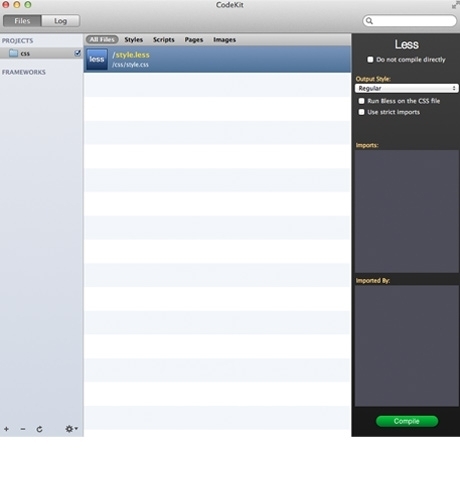 Combined with CodeKit, LESS is one of the most powerful tools I have encountered in my time as a developer. Together, these two will quicken your workflow and alleviate a lot of your headaches. 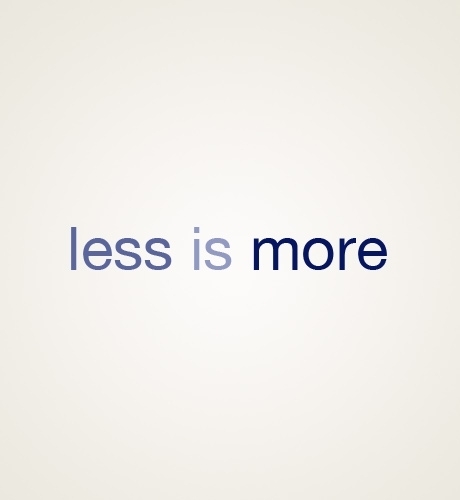 LESS is a dynamic stylesheet language that extends CSS with variables, mixins, nested rules, operations and functions. So you’ve just sent off the first draft of a website you’ve developed, and the client loves it, except for one change, “We love everything, but we’re thinking that the green on the headers, navigation, and footer text should be a bit more….lime green.” Every time that client makes a color change, you’re going to have to find and replace every instance of that color. What if, instead, you could just change one instance of that color and have it propagate through the rest of your CSS? This is the first big instance of how LESS can quicken your workflow. So you’ve got hold of how powerful variables are in LESS - one change to make multiple changes throughout your site. Now let’s compound on that idea with Mixins. Mixins allow you to use whole classes as variables. This example shows how mixins are basically just variables with a bit more flexibility. Does that client from earlier want the green to be about 10% darker? Easy with LESS. What if they want larger borders on everything? No sweat. Another client asks to have the footer a bit darker than the header? On it. The way that suits my workflow the best is an awesome preprocessing program called CodeKit. Developed by Bryan Jones, CodeKit is one of the few programs that is always a part of my workflow for local web development. The usage is dead simple to compile LESS: drag your project folder into CodeKit, make changes to your LESS file, and press save. That’s it, CodeKit does the rest for you. After compiling you can link your brand spanking new CSS file that’s been created. This sounds like a bad sales pitch, but the list of programs that I stand behind this strongly is a slim one. CodeKit really just makes things easier. You can start using LESS today by playing around with those examples. If you dig it (and you probably will), start trying to write your own code with it. I seriously recommend grabbing that free trial of CodeKit, it makes learning a bit easier. . 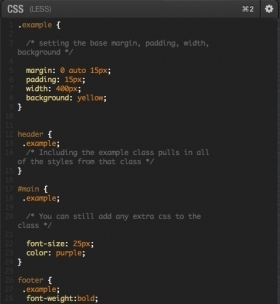 The easiest way to jump into LESS is to start your style.less file with those color variables from the first example. If you have any questions about LESS, CodeKit or anything else, message me on Twitter - @iamtec - I’ll be glad to help. Let me start off by saying that I'm not getting paid for writing this, and I won't receive any affiliate money for linking you to this book. I just want you to read this book now. The Lean Startup by Eric Ries can help any business grow. If you are using a modern browser, you may have noticed when you select text on our website that it has a yellow background instead of the standard blue selection. This is a simple change that you can make to your website today to add a small bit of flair.